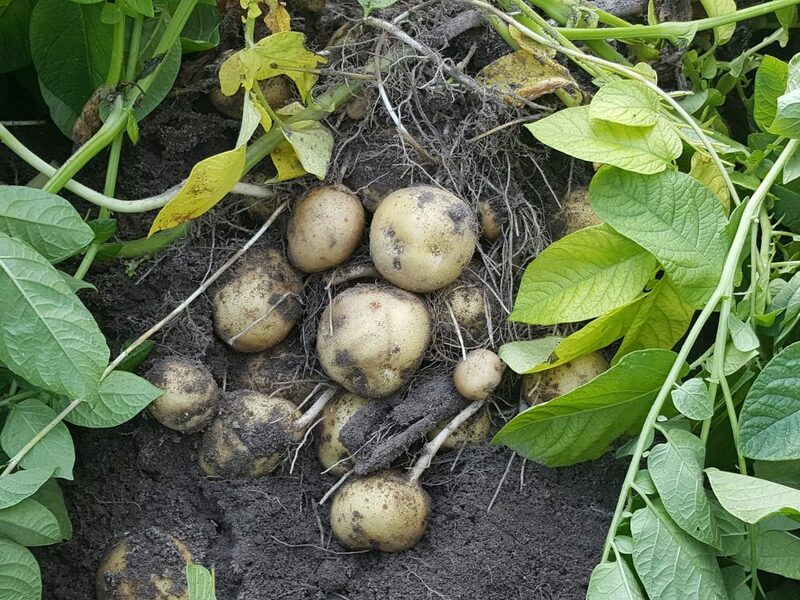 In the first part of her series, Cathy Isom gave tips about growing your own potatoes. Today she fills you in about how to harvest and store your potato crop. That’s coming up on This Land of Ours. When you’re ready to harvest your homegrown potato crop, the first step is cutting the water off of the crop a few weeks before. This helps the plant dry up. Make sure that the plant is completely dead. Look for dried leaves and the vines to be completely dried out all the way to the base of the plant. When you see this, then you know that the potatoes have reached full maturity. Next it’s time to dig the potatoes out of the ground. Wipe them with a dry cloth to get the excess dirt off, or a very lightly dampened cloth. Place potatoes in a dry box or brown paper sack. If you have an area that is around 65 degrees and at about 95 percent humidity, you can store them for around a week to 10 days. This is to cure the potatoes. 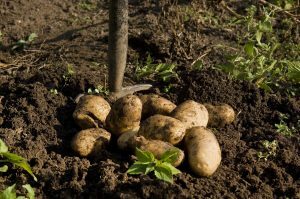 However, if you don’t, then just skip that step and store the potatoes in a dark cool place like a root cellar or a dark, cool spot in a basement. Your potatoes should keep for about three to four months. Do not store your potatoes around apples or other fruits that put off gases. This will cause spoilage to your potatoes.